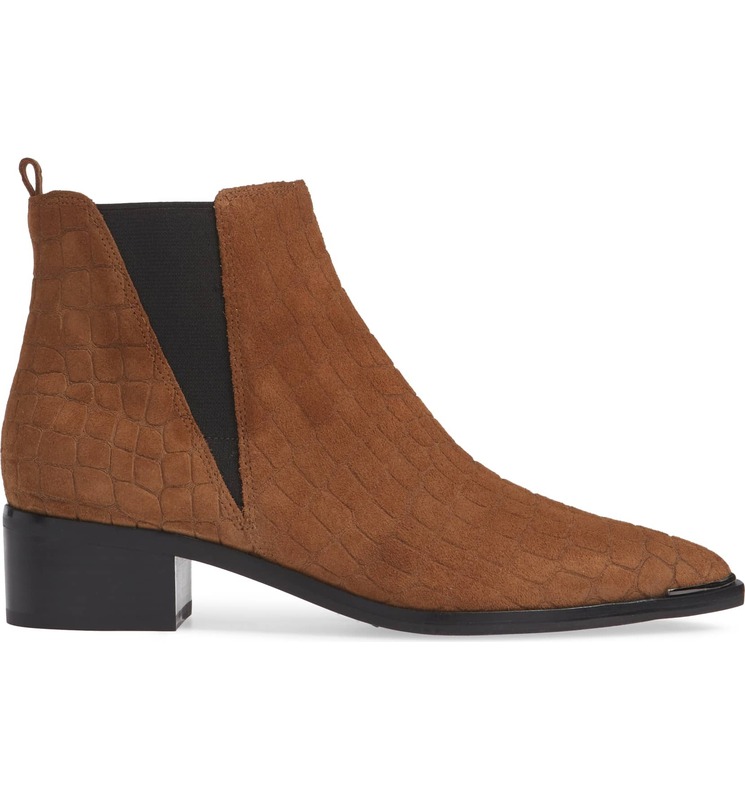 If you’ve yet to stock up on all the best ankle boots for fall, then prepare to make room! The Shop With Us team spotted a boot style that comes in a variety of textures and colors — and you’re definitely going to want a pair, or three. The Marc Fisher LTD Yale Chelsea Boot has a clean, modern design with a pointed toe and stretchy ankle. Its easy pull-on cut makes it a great choice for getting a cool look even when you’re on the go. See it: Get the Marc Fisher LTD Yale Chelsea Boot (originally $180) now only $90! Check out other boots on sale at Nordstrom too! The boot comes in the beautiful tan suede shade you see above, but is also available in four different textures and four other colors! 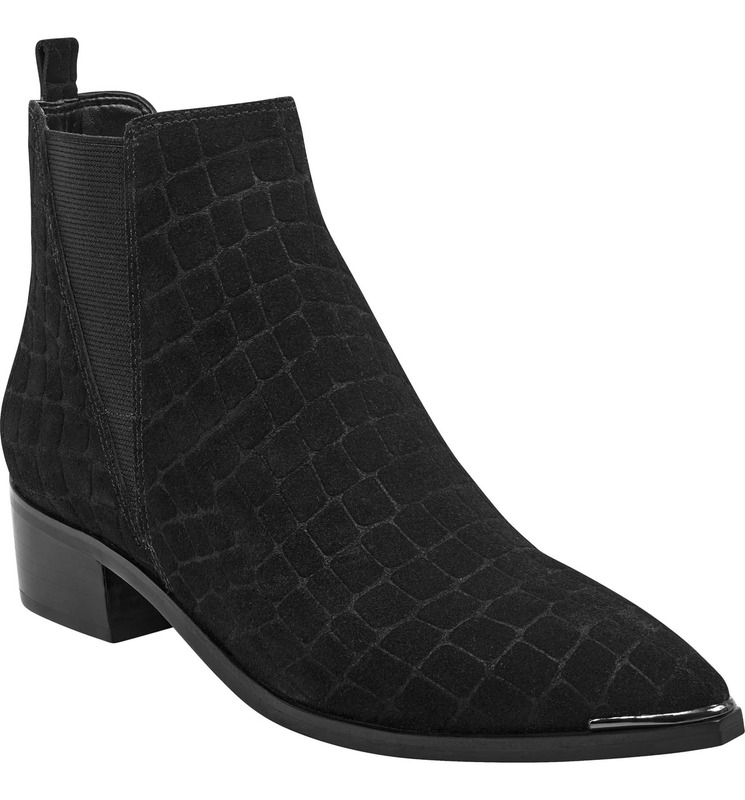 For those who love their ensembles all-black, you can shop the hue in croc suede (below), patent leather and classic leather. If you’re into the suede look, but prefer to step away from traditional black, then you can also shop tan, cognac (below) or ivory. Shoppers who purchased and wore these beauties praised their quality design. Reviewers also found the shorter heel height to be convenient for walking and long wear. One reviewer admitted that they wear the booties nearly every day.